People still can’t believe and accept the fact that every single nutrient is important for our body and its health. There are numerous healthy diets that can help us stick to a regime where we will ingest foods that are rich in essential nutrients. Believe it or not, even if your body lacks one nutrient, it can show serious symptoms and conditions. Among these essential nutrients, magnesium plays a major role. It is important to ingest the recommended dosage of magnesium every day in order for your body to work properly. Having a magnesium deficiency is quite common, but it is all due to the difficulty of getting and absorbing magnesium. This happens because the food that we buy every day, gets completely processed and the amount of magnesium decreases. This way, you are constantly eating food that has poor amounts of this nutrient. There isn’t a rule for a daily intake of magnesium and it depends on the person’s height, weight, and health. This may require making some changes in the diet, but it will pay off in the end and you can avoid developing serious diseases or conditions. Another reason for magnesium deficiency is aluminum. This nutrient slows the magnesium absorption process and you may consume enough magnesium every day, but your body won’t accept it properly. Nowadays, we get aluminum from everywhere – deodorants, numerous medications or cookware. Lastly, you need to start a diet where you will be focusing on foods that are highly rich in this amazing nutrients. We advise you to focus on ingredients and foods such as beans, nuts, seeds, mackerel or dark leafy greens. If you want, you can also get supplements which are completely healthy. You can ingest them orally or transdermally, but we advise you to focus on a more bioavailable type of supplements such as malate, magnesium citrate or glycinate. There are numerous signals that your body may send if you end up having a magnesium deficiency. Here are 32 signals that you need to look out for. If you want to avoid these symptoms, we recommend changing some things about your lifestyle and focusing on foods such as sesame seeds, navy beans, cashews, pumpkin seeds, swiss chard, quinoa, black beans, sunflower seeds, and spinach. Don’t close your eyes on this problem and include magnesium-rich foods in your diet. Your body will appreciate it and you will see the difference by yourself. 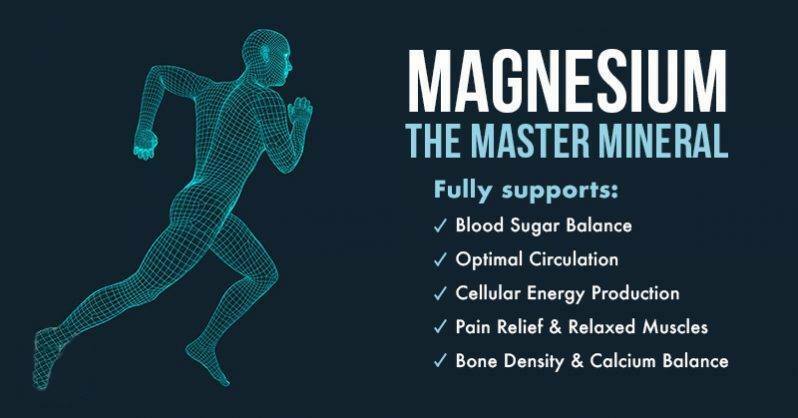 Around 300 body operations are using magnesium, so you can imagine how essential it is.